Im seriously considering selling my C7 which i love and upgrading to a C7 Z06, as im going too have too fork out another 30k or so, im after feedback from somebody who has done this or at least driven both , my question is there a real noticable difference in real roads performance and handling to justify the extra money. Well......from someone who made that transition ('14 Z51 to '16 Z06), they are two different animals. 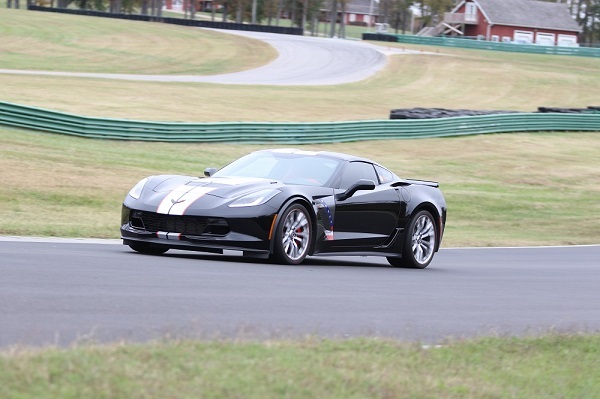 I am, by no means, a race car driver, however I have done some spirited driving on closed tracks (Lime Rock, Virginia International Raceway-VIR). When I traded in the Z51 for the Z06 (just a FYI for those that aren't aware, the Z51 is not a model, it's a performance option package, the Z06 is a model). When pulling out of the dealer parking lot then hitting the on ramp to the interstate, just gave it a little gas.....and whoa, a head jerker.......I said to the honey.......this is a beast, I'm going to have to learn how to drive this one. The response is just quicker, so much faster, handling is superb. Big difference between the two. I do not have official times and speeds that I can rattle off, I was so impressed with its running, went to VIR three times within a year and a half. I think you will really enjoy the upgrade, not that the Z51 Stingray is a slouch, but the difference between the two is unquestionable. thanks for the reply Norm, that's what I wanted to hear, I have found one that im interested in, just got to figure out how to afford it it, but I will get one. Well , I bit the bullet and bought my dream car, a 2018 yellow z06, and OMG, what a car , I thought my black c7 looked good in the flesh and was a bit worried that a yellow one may be a bit much for my conservative taste and had a few restless nights sleep thinking I may be making a mistake, but now ive driven it, taken it to its first car show and got it sat proudly in my garage, I know that ive made the right decision, It drives and feels very similar to the z51 when just cruising but when pushing it , it feels so much more like a race car and the power in the upper rev range is totally bonkers.I normally change my cars every two years or so but I feel that this ones the one that I keep forever, with only one thousand miles on it now it feel brand new, just love it and cant recommend a c7 z06 as a toy enough.